Who doesn’t love long weekends? I know I do. Although nothing beats a proper holiday where you can linger longer, there’s something very refreshing about a three-day sojourn. It’s like taking a power nap. You always come back from it with enough drive to power through anything. There are a lot of long weekends coming up, and we thought we might tempt you with a quick getaway to Palawan. 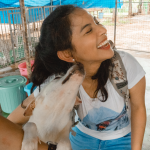 If you don’t know where to start, here’s a 3-day Puerto Princesa itinerary for you and your go-to travel buddy (or buddies, the more the merrier!). You can even catch up on some me time and go on a solo trip — whatever floats your boat. The Legend Palawan remains to be one of the city’s most trusted accommodations. The hotel is just minutes away from the main commercial district and Puerto Princesa’s international airport. If it’s convenience and mobility you’re after, there’s no better choice. This three-star establishment has everything you need including airport transfers, free WiFi, a decadence of Filipino dishes served in the hotel’s restaurant, and great tour packages courtesy of its tour service provider — Legendary Tours. If you’re not keen on crafting your own itinerary, this is a pretty good option. Legendary Tours’ tagline is “Travel with no hassle.” All you have to do is show up and The Legend Palawan will do the rest. Tip: If you’re staying at The Legend Palawan , make sure to order their famous banana bread. It’s so good, you’ll want to bring some home. 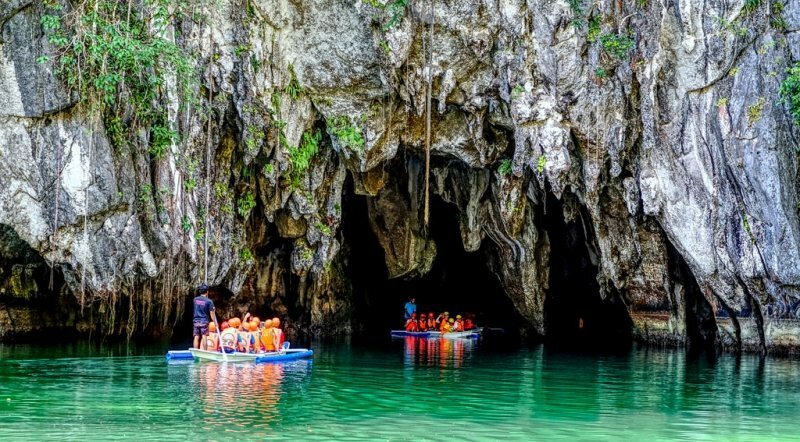 Read more about The Legend Palawan on TripZillaSTAYS. 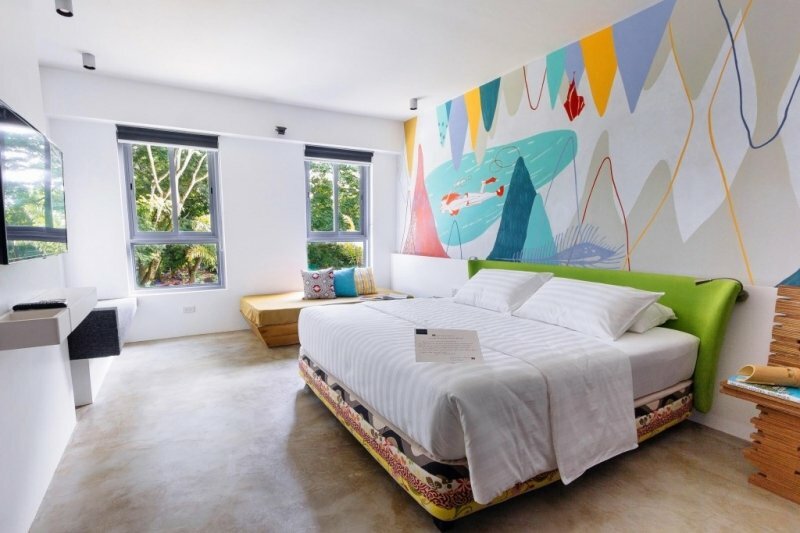 There’s no denying that Canvas Boutique Hotel is one big work of art. Each floor has a theme, with murals painted by Palaweño artists and functional art installations seen everywhere. Local craftsmen also made the furniture found inside and no two rooms share the same design! If you’re lucky, you can even chat with some of the local artists who collaborated with Canvas Boutique Hotel. Other hotel highlights include a 20-metre outdoor lap pool and The Painted Table, Canvas’ in-house restaurant. While it serves Filipino comfort food, The Painted Table also offers fusion cuisine. You can also check out the Canvas Wander List if you’d like to know which local hangouts come highly recommended by the boutique hotel. For those wondering, Canvas Boutique Hotel is just a two-minute drive from the Puerto Princesa International Airport. Tip: When dining at The Painted Table, don’t miss the restaurant’s centrepiece — an actual painted table. It’s a five-metre, 18-seater hardwood obra maestra by popular street artist AG Saño. We’ve been told that the artwork depicts icons of Palaweño heritage so ask the staff about the images you’ll see. 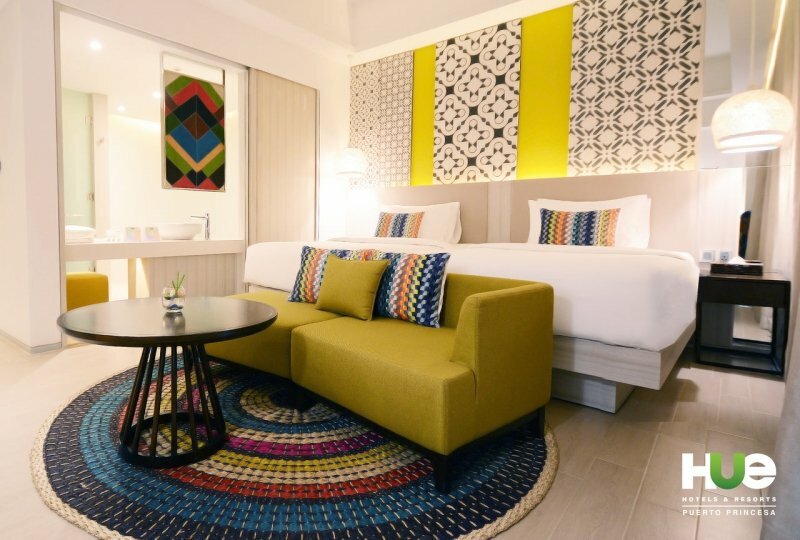 Read more about Canvas Boutique Hotel on TripZillaSTAYS. One of the newest establishments in the Palawan, Hue Hotels and Resorts Puerto Princesa just opened in 2017. But those who’ve already stayed there will attest that Hue has already mastered that trademark Filipino hospitality. Its crisp, modern interiors make the hotel Instagram-worthy from every corner. Artfully done patterns that adorn each room and amenity were inspired by images of Filipino culture. Even the pool features colourful tiles reminiscent of fiesta flaglets called banderitas . 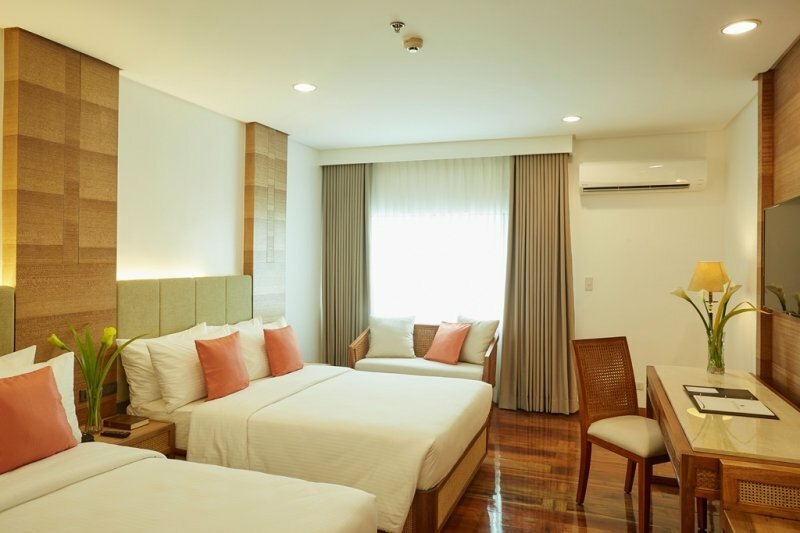 Rooms at Hue Hotels and Resorts Puerto Princesa are both tasteful and homey, much like staying in your very own posh serviced apartment — with curated interiors to boot. Tip: There’s no better way to end a day filled with adventure than taking a relaxing dip in the pool. Hue Hotels and Resorts Puerto Princesa’s outdoor pool offers a little something extra, though. 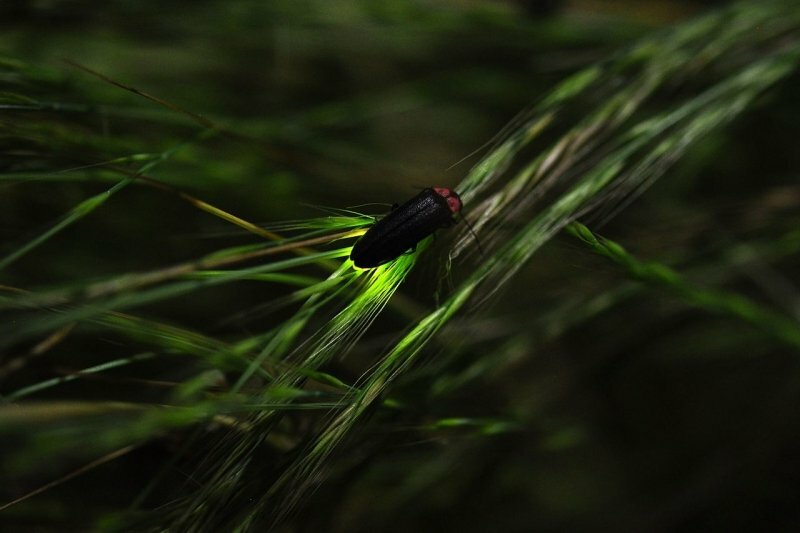 It provides a magnificent view that overlooks the city. You can only imagine taking in that scenery at sunset with a fruity shake, or maybe a refreshing cocktail. 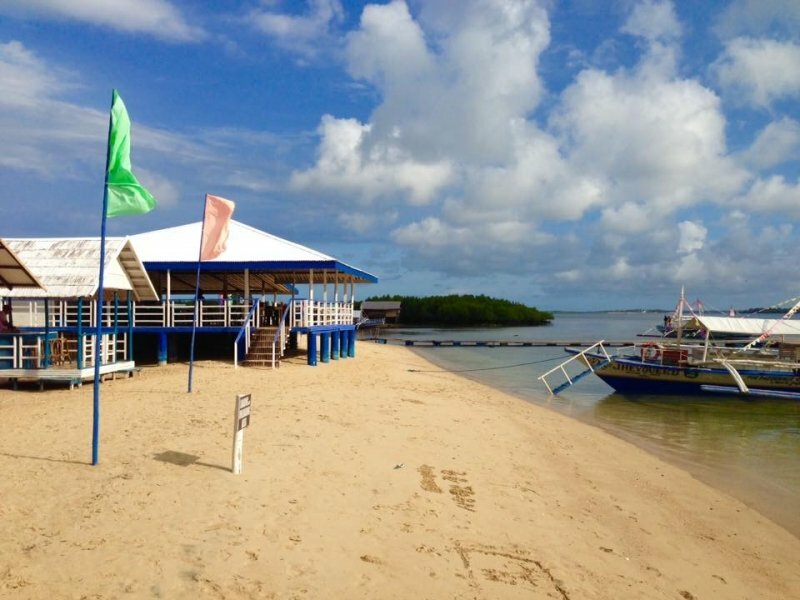 Read more about Hue Hotels and Resorts Puerto Princesa on TripZillaSTAYS. 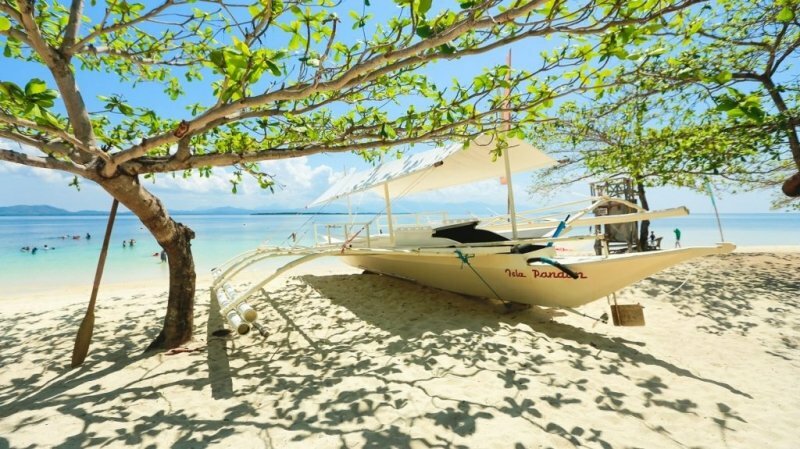 Aside from having beach huts for rent, Isla Pandan is a favourite among snorkellers because it features a coral reef not far from the shore. Some tourists skip this trio, but we recommend getting the most out of your island-hopping experience by visiting each one. 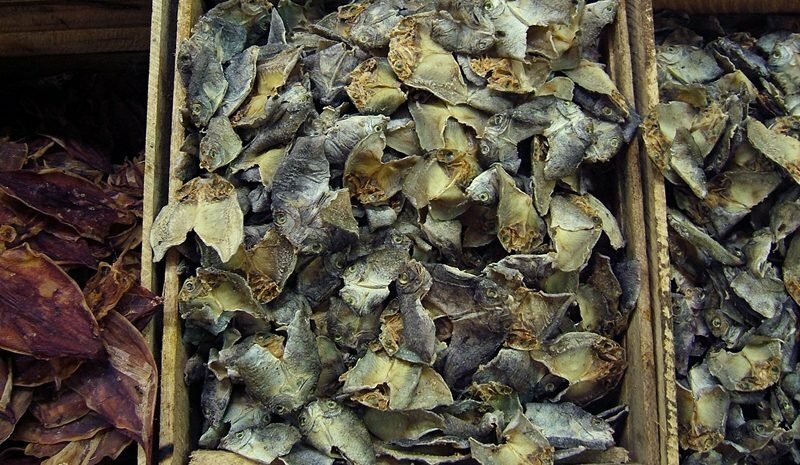 Here, you'll see healthy populations of starfish, mollusks, and bats. Dos Palmas Island is technically not in Honda Bay but across it. Going on a day tour here comes with lunch and limited access to amenities, although it will mean skipping all the other islands. 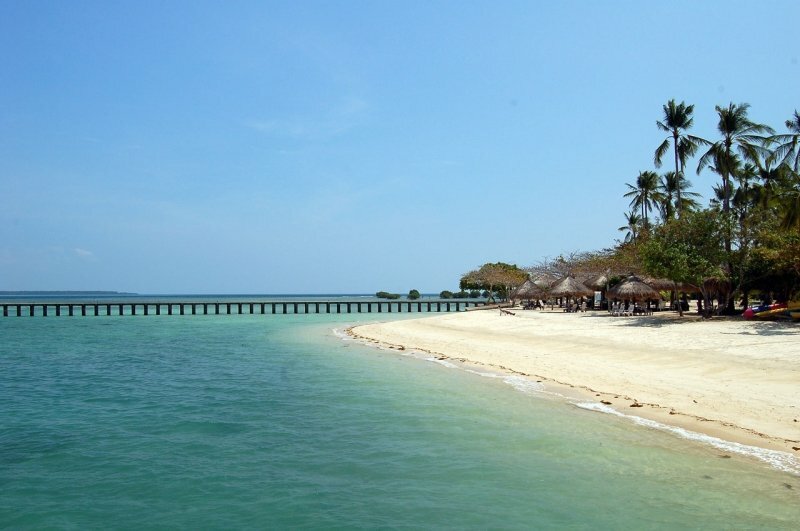 Its highlights are lush mangrove forests, vibrant coral reef, and a pristine beach. 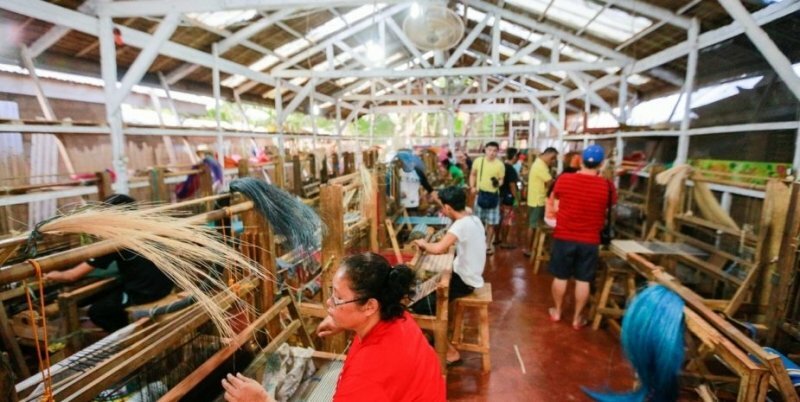 Oddly enough, most tourists skip this stop, but we highly recommend dropping by the Palawan Heritage Center. 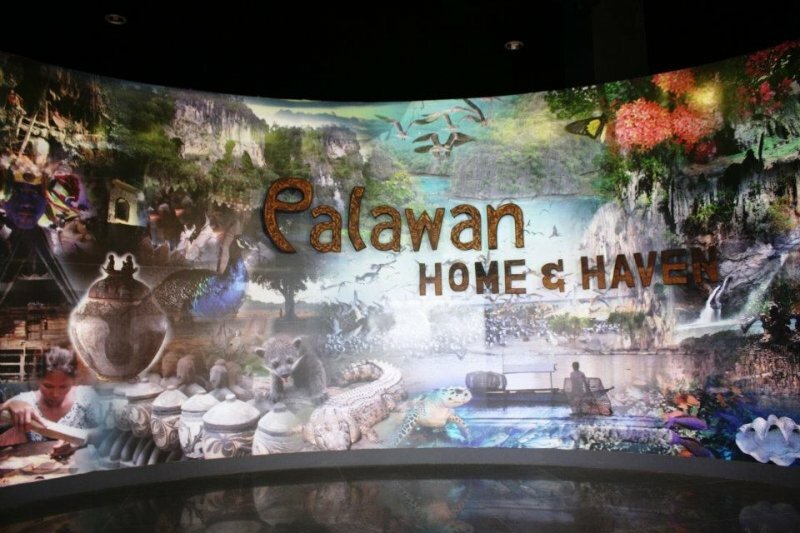 Essentially, it’s a mini museum, and it’ll give you a comprehensive overview of Palawan’s history and heritage. 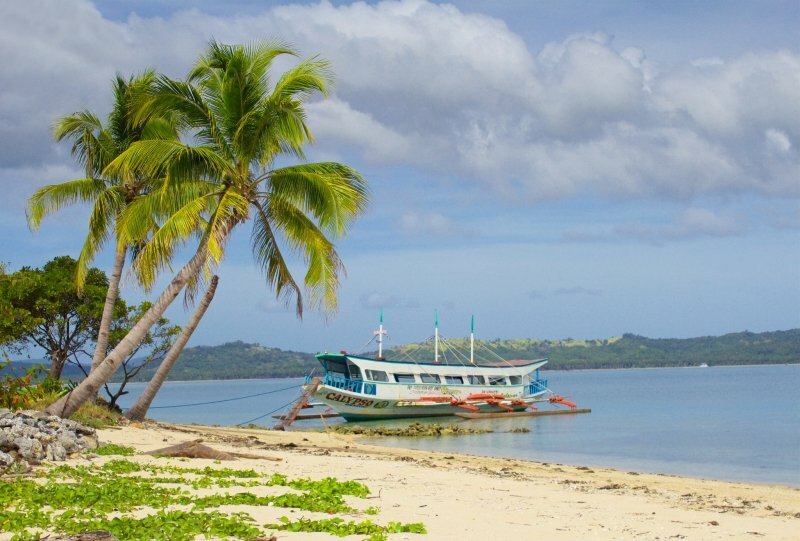 Just a heads up: Palawan is a pretty popular destination in the Philippines. 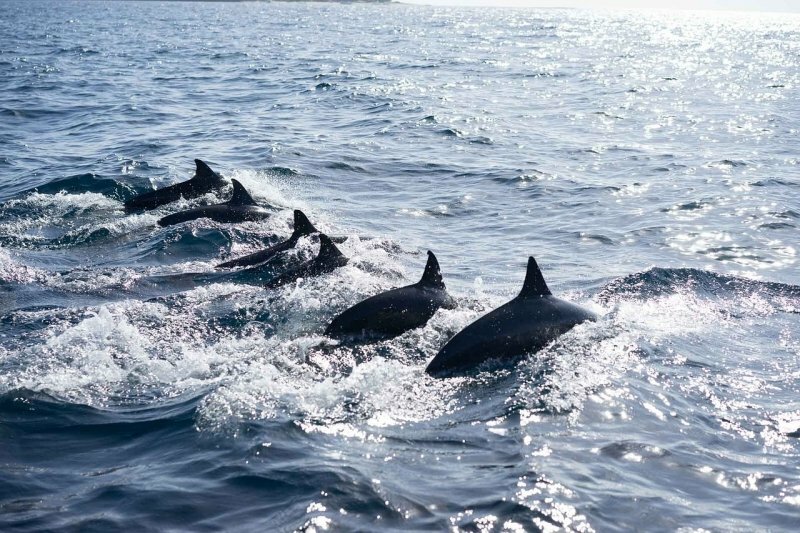 Most of its tourist attractions get fully booked quickly. If you want a sure slot, don’t just walk in. 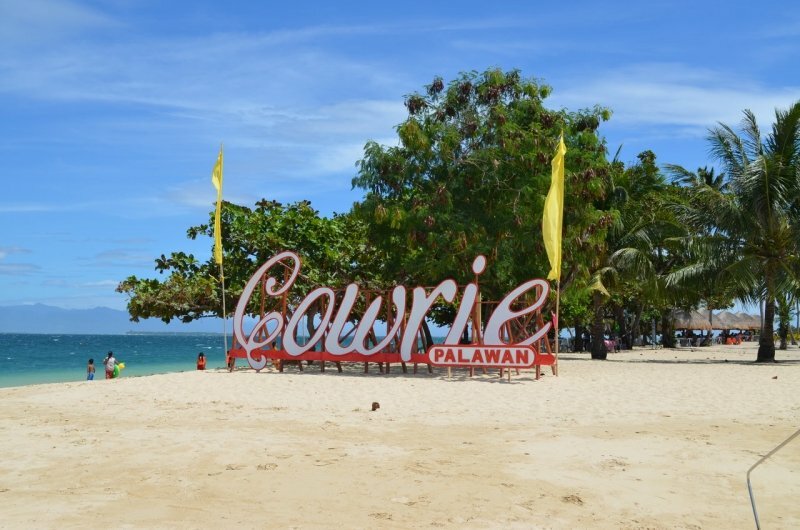 Make reservations — The Legend Palawan, Canvas Boutique Hotel, and Hue Hotels and Resorts Puerto Princesa will gladly help you with this. If the must-see spots are fully booked by the time you finalise your itinerary, just wing it and go on a food crawl in the city. Or turn your adventure into a staycation. You’ll be chilling in city’s best stays anyway.